MKEK acquired german machineries to manufacture weapons as many middle-eastern industries did (as DIO of Iran and POF of Pakistan). 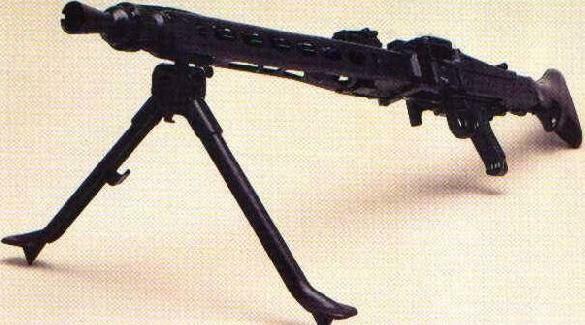 The MG-3 is a turkish version of the german RHEINMETALL MG3 machinegun (a modernized version of the WW2 MG42). It is belt-fed, it fires either in semi-auto or full-auto fire the .7'62x51mm-NATO cartridge. It is the standard Light Machinegun of the Turkish army.